Bring the Apple MD101 Macbook Pro and experience an advanced and delightful usage. This laptop is crafted from aluminium which provides resilience while being lightweight. With a metallic finish, sleek design and the simplistic Apple logo, this laptop is sure to turn eyes wherever you go. The amazing 13 inch screen of the Macbook Pro has a resolution of 1280 x 800 pixels which offers the widest colour gamut, finest contrast, sharpest edges and true blacks. With this amazing screen, each and every thing that you view on this laptop will be nothing but stunning. The Macbook Pro also features the Intel HD Graphics 4000 card and Intel Integrated Graphics coprocessor that enhances all your videos and other graphic related tasks by eliminating blurs and delivering crystal clarity. You can perform your everyday tasks at lightning fast speeds with this laptop. It features a 2.5 GHz dual-core i5 processor for an exceptionally fast processing. With the 4 GB RAM, you can multitask effortlessly without facing any lags or slowdowns. Moreover, the 500 GB disk space allows you to store all your important data, right on your laptop. With the two USB v3.0 ports and one Thunderbolt port you can connect various gadgets and enjoy a high data transfer speed. This laptop also has a SDXC slot, Bluetooth and Wi-Fi connectivity for helping you to connect to other devices. The Apple Macbook Pro comes with 720 p FaceTime HD camera, built-in subwoofer and omnidirectional microphone for enabling you to video call your family or engage in video conferences without employing external hardware. It makes sure that you do not run out of battery in the middle of watching a movie or giving a presentation. It is equipped with a Lithium-polymer battery that provides uninterrupted excellent performance for up to 7 hours. Premium Design Bring the Apple MD101 Macbook Pro and experience an advanced and delightful usage. This laptop is crafted from aluminium which provides resilience while being lightweight. 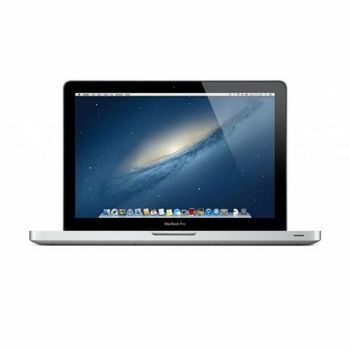 With a metallic finish, sleek design and the simplistic Apple logo, this laptop is sure to turn eyes wherever you go. Mind-blowing Graphics The amazing 13 inch screen of the Macbook Pro has a resolution of 1280 x 800 pixels which offers the widest colour gamut, finest contrast, sharpest edges and true blacks. With this amazing screen, each and every thing that you view on this laptop will be nothing but stunning. 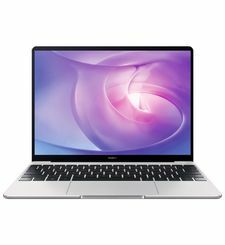 The Macbook Pro also features the Intel HD Graphics 4000 card and Intel Integrated Graphics coprocessor that enhances all your videos and other graphic related tasks by eliminating blurs and delivering crystal clarity. 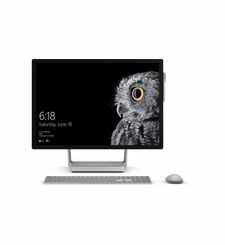 Beastly Performance You can perform your everyday tasks at lightning fast speeds with this laptop. It features a 2.5 GHz dual-core i5 processor for an exceptionally fast processing. With the 4 GB RAM, you can multitask effortlessly without facing any lags or slowdowns. Moreover, the 500 GB disk space allows you to store all your important data, right on your laptop. Additional Benefits With the two USB v3.0 ports and one Thunderbolt port you can connect various gadgets and enjoy a high data transfer speed. This laptop also has a SDXC slot, Bluetooth and Wi-Fi connectivity for helping you to connect to other devices. The Apple Macbook Pro comes with 720 p FaceTime HD camera, built-in subwoofer and omnidirectional microphone for enabling you to video call your family or engage in video conferences without employing external hardware. It makes sure that you do not run out of battery in the middle of watching a movie or giving a presentation. It is equipped with a Lithium-polymer battery that provides uninterrupted excellent performance for up to 7 hours.